Heart-lung machine in use during heart surgery. 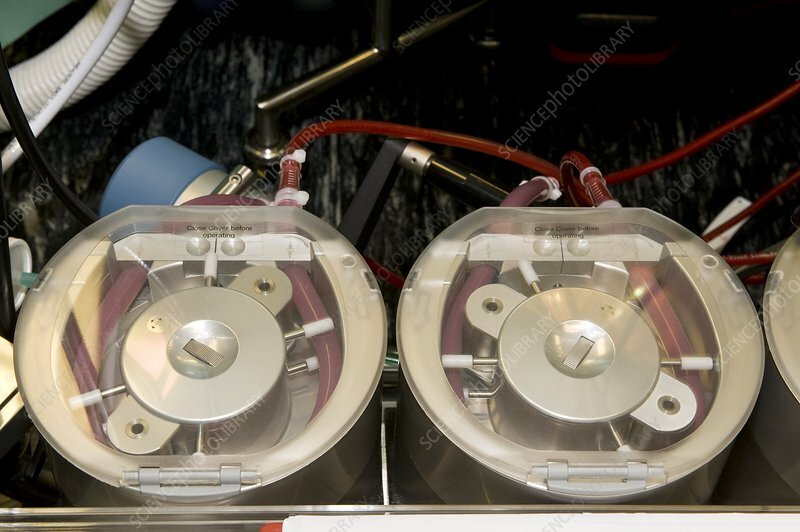 A heart-lung machine takes over the function of the heart and lungs while the heart is temporarily stopped during surgery, allowing more time to operate. It oxygenates the blood and removes carbon dioxide while heating the blood to the correct temperature before pumping it back into the patient's body.